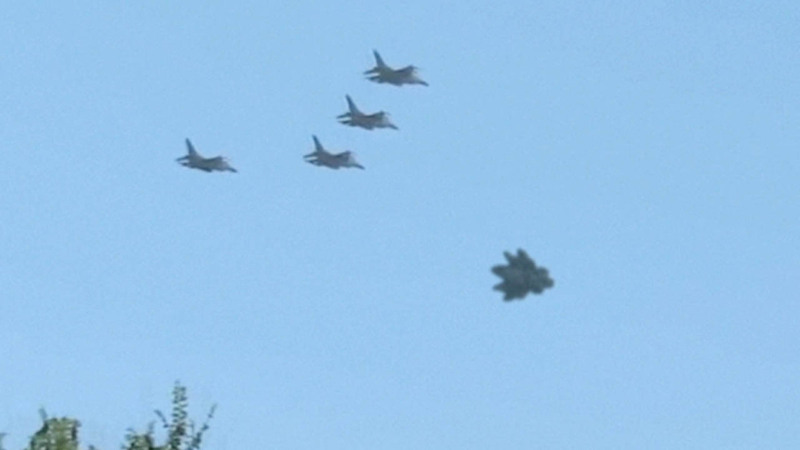 An American witness inside Izmir Air Force Base, Turkey, reports there were many people watching the strange shaped UFO in the sky that was escorted by the jet fighters. There were many witnesses to the event. "We were all in our office when we were told to come outside and see this really strange event in the sky," the witness stated. Turkey is one of the strategic military installations run by the US Air Force in Europe. It's one of the oldest and largest cities of Turkey. Izmir is also close to the Aegean Sea. In Turkey, UFO events are monitored by the Sirius center. According to their records, in 2015 between April 1 and Oct. 28 there were 3,640 reports of UFO sightings; 526 of them were recorded on camera, and 468 of them could have been satellites, Chinese lanterns, birds, balloons, photoshopped photos, light reflections or simple mistakes. A total of 79 were confirmed as UFOs.